The common printer related complaints that we get is due to high cost of ink or toner cartridge used for printing purpose, particularly for those who print in high volume. Unless you don’t know how you can use your ink cartridge, dealing with printer ink will be an expensive asset to maintain. Also, It is equally necessary to select the right type of printer for printing so that you can enjoy the benefits for as long as possible. Here are some tips discussed, to control the rate at which you use your ink. that you need. Take for example a 25-page report. Do you need a hard copy of it or reading it on the screen will serve the purpose? When printing web pages in particular that contain a host of graphics and images aside from the text, it can leave your page often printed with gaps and blank spaces. 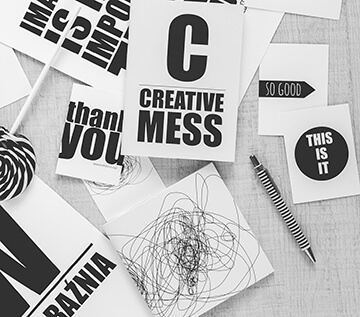 With due forethought, you can even save ink while printing a piece of text that you just need to proofread – where printing images can be avoided completely. If you are a type of user who occasionally requires printing documents that need to be presented, the draft mode can be of great help. When the draft mode is turned on in printer settings, the machine uses less ink and prints faster. Human error is a common problem while printing documents. We often tend to miss or overdo something. But the mistakes can be minimised if we double check all our documents before printing. 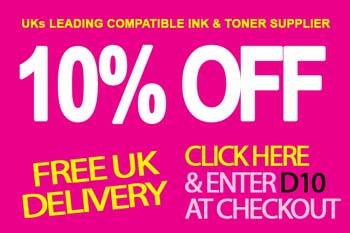 This will not just save the ink or toner cartridge, but also help us save paper. Make a habit of using the preview option before you hit the print button. The preview option will allow you to proofread the document on the screen. At this time you can change the settings manually (if necessary). For instance, you could make substantial savings on your printer ink when you realise that a couple of pages can be printed on a single page, or the size of the image and text can be further reduced. Be it an ink or toner cartridge stocked on a shelf or the ink currently being consumed by the printer. In both the cases, it is important to maintain and take proper care of the printer ink. It is always good to have a backup printer ink in case you need it in urgency. But it is equally important not to overstock the inks. Because if the toner or ink cartridge crosses the “use until” date, the particulates present inside may ooze out of the solution and clog the nozzles leaving your ink good for no use. 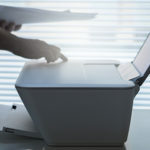 Now when you have to take care of the ink installed on your printer, there are a few ways you can follow to save your ink. Firstly, make sure you clean the printheads only when truly required. Frequent cleaning of print heads may result in wastage of ink. Secondly, make a habit to print a test page on regular intervals to prevent printheads from clogging. Finally, clean the nozzles on regular basis – ensure your printer has the option to clean the nozzles. It is a general functionality of a printer that it warns the user with ‘toner or ink empty’ or ‘replace toner or ink’ signal. However, be informed that at least 10-30% of ink is still available to use even after the warning signal is displayed. The accuracy of the warnings can differ significantly between printer models and brands. But before you follow the instructions from the printer make sure you have utilized all the ink available in the cartridge before replacing the old with a new one. What is a low cost per page? It is the running cost of printing each page including the cost spent on the printer ink. There are printers in the market that come at a highly affordable price. But in the long run, the expense of ink or toner cartridge turns out to be high. For example, few laser printers have high upfront costs, but their cost per page is very low. Similarly, it could be vice versa with the budget inkjets. Also, owing to a generally accepted principle, the cost of ink is inversely proportional to a printer’s price. 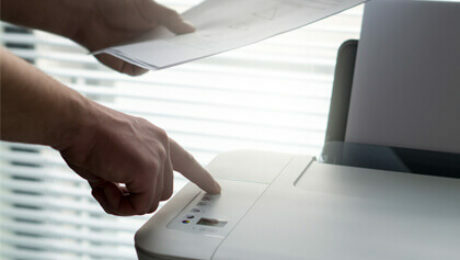 Therefore, consider doing thorough research prior to selecting a printer with low cost per page. manufacturer. They offer consumables from top brands including Hp toner cartridges, Brother ink cartridges, Canon ink cartridges, Epson ink cartridges. Many third-party manufacturers and suppliers offer compatible ink cartridges that match with the quality and performance of OEM cartridges. Though many believe that compatible ink cartridges are difficult to handle and the result is not as good as OEM cartridges, you can get the best deal if you approach the right supplier. Try evaluating the reviews on the company website before you trust the third-party’s product. sides of a sheet of paper. A number of brands sell laser printers with duplex printing as the default mode. Duplex printing (two-sided printing) reduce your paper costs in half. The option is economical and eco-friendly too – it prevents unnecessary wastage of paper. 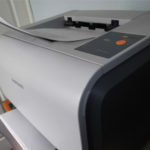 But this is also a fact that duplex printing takes more time in printing a page than simplex printing – as the printer needs to flip the paper over to print on the other side. Also, remember that when you need to print single-sided documents you will have to change to simplex printing in the driver settings. 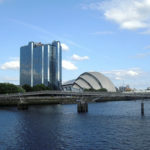 Printer Ink Cartridges is one of the most reputed suppliers of ink and toner cartridge in the UK. We have a high customer base that is happy and satisfied with the price and performance of the products. 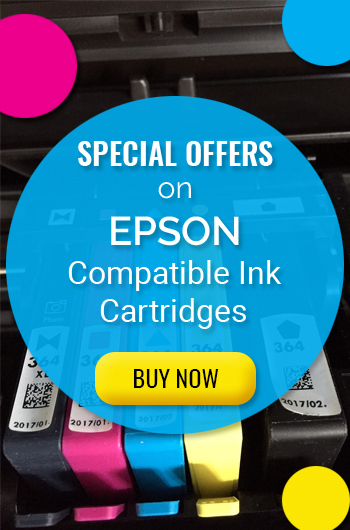 We are the ultimate third-party compatible toner and ink cartridge suppliers in the UK that can provide you with substantial printer ink savings in the long run. With the emergence of digital media in the 21st century, the existence of print media and print art is being frantically debated. Marketers these days advocate the existence of digital media and claim the death of the print industry. The basic clue behind the death of print media is the printing cost and effort involved in printing. But as per the facts, investments in commercial printing increased by 9.1%, which is likely to grow by 1.5% in the year 2018. The increasing numbers specify that there will be more competition for brands even in the offline market. So, here are some printing trends that are set to provide a competitive advantage in 2018. Simplicity never goes unappreciated. It always reflects authenticity, elegance and a kind of gentle downright. This being the focus criteria of minimalistic print, makes it a popular design choice that almost always works. It concentrates only on the essential elements of functionality which include space, stunning typography and simplicity. Colour is another important element that is used in fewer combinations with greater effect. 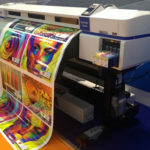 Hence, this technique is always helpful in enhancing the quality of the print while worrying less about colours, bleeds or improper cuts. Think of those posters which are jam-packed with too much of colour, text and graphics. Be as simple and you are sure to catch the eye of a passerby. Customised printing is a fully worthwhile investment for those who would like to build a meaningful relationship with the consumer. Research shows that customising your direct print marketing work can boost your sales 15 times more than the traditional mass approach. A prospective buyer is more likely to acknowledge a personalised flyer and hold it for a longer time rather than a postcard that says ‘Dear Valued Client’. Additionally, you can even pay more attention to details like text and graphics to give the consumer a truly personalised experience. So, customised printing is really going to make your marketing campaign impressive in 2018. Although there is an active competition going on between print and digital media, both the media have the potential to complement each other. Marketers need to remember that print media is as important as digital media, as there is a whole lot of people who are still offline. As a complementary strategy, a lot of big companies are leveraging the benefits of print media to get attention in the buzzing world of social media. They are using print to increase digital awareness which proves that both the platforms form the vital fusion of communication that reinforces each other. 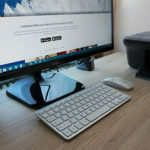 For example, you could use your print marketing piece to direct your customers towards your website or social media platform, by that means, fabricating a unique brand engagement that moves along online and offline. Coupon advertising has been a tried and tested strategy for businesses for a very long time. They have been used to persuade new customers and substantially increase sales, making it an indispensable tool in the print marketing world. In fact, as per CMO council reports, 71% of internet users in the US were influenced by coupons while making purchase decisions. More so, 2018 will witness a considerable rise in the unique coupon codes. As unique print designs will provide an additional edge to the coupon codes. Hold a very dull and rough piece of coupon code just as you see it in newspapers. On the other hand, hold a stunningly designed personalised coupon code that gives you a feeling of being a valued customer. That’s the difference! Imagine how the world would look without colours. Or just think would you prefer wearing a dress with a colour you hate the most? No. Right? Because that’s how our brain reacts to the different range of colours. Some colours give you a feeling of happiness, some arouse excitement and some bring your mind to a state of serenity. More or less, the same theory of colours holds good for print media too. Many studies have confirmed that purchasing intent is greatly influenced by colours used by the brands – colours have a great impact on how a brand is perceived by a customer. Be it a flyer, a brochure, a postcard or a business card, the right choice of colours have the capacity to persuade customers to switch to your brand. Print media is incomplete without paper – the relationship is as old as their invention. So, why not use paper innovatively to make your marketing campaign stand out and appear more unique. Businesses are increasingly reinventing the use of printed papers beyond the traditional roles. Take for instance the business cards, they are being used as appointment cards or even loyalty cards. Brochures are essentially used as flyers that are folded in different ways. The applications can become more versatile, going beyond the conventional approach. There are many ways you can reinvent the use of paper in print marketing to reach a diverse amount of crowd and also save money. Research has confirmed that touch memory has the strongest impact on the human brain. A study performed by neuromarketing firm TrueImpact reveals this. When trying to recall a brand, 75% of the participants who had touched and seen the paper marketing piece were able to do it, while only 44% of them who had seen a digital add were able to recall it. Tangibility immediately creates an arresting psychological response in the viewer tapping into the areas like value and desire. Hence, 2018 is going to see the use of texture as the most important USPs of print marketing. By using interesting textures like foil, varnish or a paper that gives a good feeling, print media can create a lasting brand awareness. Additionally, applying details such as embossing, debossing or raised ink can give your printed piece a truly amazing texture. Spot blocking, also known as spot varnishing is a protective coating that provides protection from moisture, fingerprints, scratching and scuffing. It can be applied to both the sides of a printed material. Besides these benefits, spot blocking can give your material a glossy finish while highlighting the essential visual elements. Moreover, it gives additional emphasis on a particular segment of the design. Spot blocking is the print-coating trend of 2018. With its creative application, you can make your company logos and brand images look more vibrant. With spot blocking the image clarity is so intense that can give a feeling close to 3D. The technique can be applied in a variety of styles such as that of matte. Spot blocking coupled with attractive texture can make your print material a truly eye-catching one. Who doesn’t love good stories – they are universal. Be it kids, youngsters, adults or elderly, a compelling story can grab the attention of anyone. The age-old method of storytelling has been recognised by brands of all sizes. And they do realize that storytelling is the best way to entertain their prospective customers. Besides, in the overcrowded landscape of social media where diverse types of ads, snaps, tweets, memes and much more are popping up all the time, brands require a truly genuine way to connect with their audience. However, it is crucial that you understand the art of storytelling. Let your marketing piece shout out your brand’s personality through storytelling. But make sure its the personality of your brand, not your’s or your team’s. Your storytelling should engage the prospective customer, inform and entertain at the same time. The true value of storytelling must include a fabrication of idea while providing a necessary background that establishes a connection with the audience – that’s “the art of storytelling”. With the printing trends that are on the rise in 2018, we cannot forget its basic necessities like compatible ink cartridges and toner cartridges. But why compatible? Its because they can perform as good as the original ones but at a cheaper price. 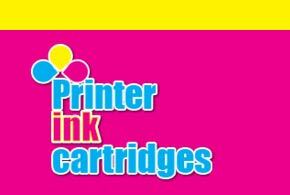 Printer Ink Cartridges is a company that deals in manufacturing of compatible ink cartridge. It offers high-value ink cartridges and toner cartridges at a fraction of the price of original consumables. Printer Ink Cartridges deals in a wide variety of products such as Epson Ink cartridges, Brother Ink cartridges, Canon Ink cartridges, HP Toner cartridges, Brother Toner cartridges, and more added to their long list of printing consumables. 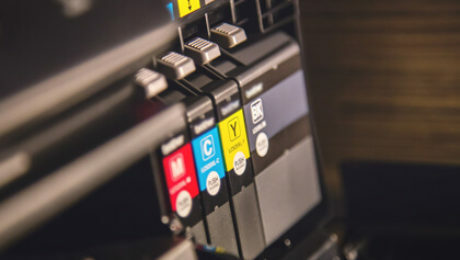 Choosing the best deal for ink and toner cartridges is as important as opting for the right printing trend for your brand marketing. Go for the most cost-effective compatible ink cartridge or toner cartridge deal and add value to your printing strategy.